Green Force® lighting systems are designed and manufactured by Leys Inc. which has half a century experience in drawing, constructing and subcontracting spare components for offshore, aircraft and nuclear industry. Unlike any other lighting system, Green Force® lighting systems are designed and manufactured according to the highest industrial standards, using the latest technologie and machinery available on the market. One feature distinguishes it even more from all other systems, it’s unmatched modularity. All the components are interchangeable and one has the choice between some 10 aluminum and delrin battery packs and 15 aluminium lightheads that vary from halogen over LED to HID and are all compatible and modular. One can start for instance with a basic battery pack and light head and will still be able to upgrade its torch without huge costs. 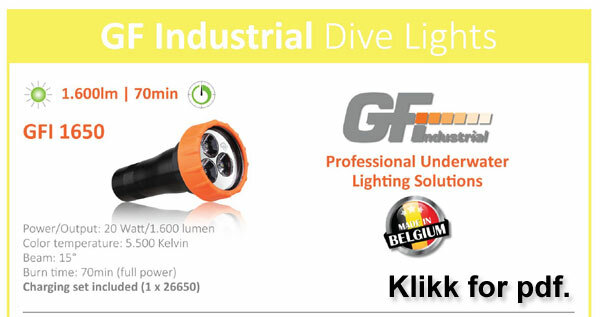 According to the lighthead that’s been used, Green Force® battery packs can supply the diver with up to 40 hours (!) of burn time. Three dive lights for the price of one. It colours your pictures while diving with a compact underwater camera. 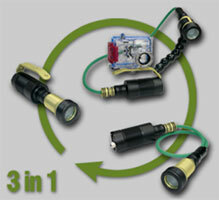 If you dive without a camera you can build the system from a cable torch to a hand torch in seconds. Without a doubt the most unique dive torch available at the moment. 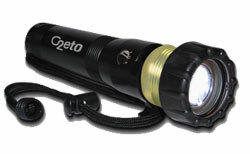 No light combines the features that the Ceto D offers; 100%, 66%, 33%, Strobe and SOS modus. It runs on only two C-Alkaline cells. The Flexi HC battery pack is equipped with High Current NiMH cells. This battery pack is especially designed to be used with our powerful HID Squid video lighting system. This compact battery pack provides enough power to start up the HID 250 several times over a total burn time of more than 60 minutes. 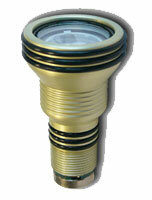 The Green Force® Diamond is an outstanding example of a backup torch. Equipped with a nearly indestructible LED and a Lithium battery which maintains its capacity for 5 years, this backup torch will never let you down. It’ll burn at 100% for 180 minutes after which it’ll slowly go out over a period of 6 hours (enough to allow one to read his instruments). The Diamond can also be used in combination with the Arrow 6. 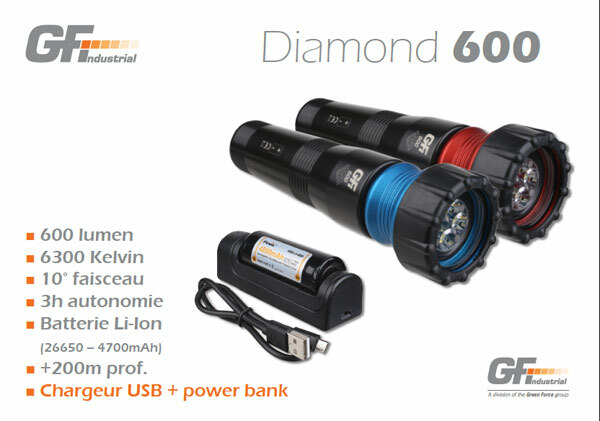 The Diamond Plus is also available as a DIR torch which is equipped with a battery pack that has a central fixing point. The Monostar P4 is the most compact LED light head in the Green Force® range and it has been developed in combination with the Flexi Fun. This Flexi Fun Monostar P4 makes up a compact and lightweight travel companion. Of course, the Monostar P4 can also be combined with all other 12 Volt Green Force® battery packs. 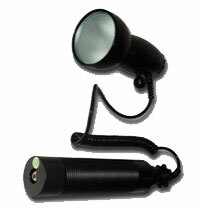 Its 220 Lumen output and 8 ° light beam creates a powerful spot light that is particularly useful during night dives.